I just listed this sweet frock in the shop! PERFECT for Valentine’s Day and long after! Y’all, meet the Bailey Dress! 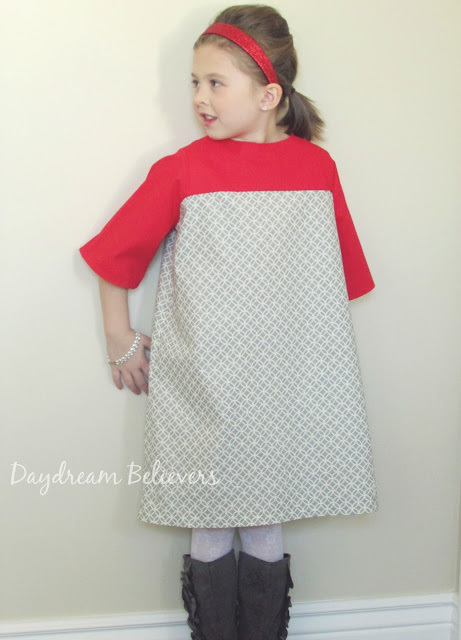 Every ‘60s inspired wardrobe needs a gorgeous shift dress, Bailey is just that! This classic shift style features a high rounded neckline and 3/4 length sleeves. You will love the ribbon tie closure and true-to-size fit. I LOVE holiday looks that can be enjoyed long after the special day has passed! With that in mind, I'm offering this limited edition Bailey dress with a cherry red bodice with a mod grey & ivory print skirt. I'm digging this dress with tights and boots, but think it'll be fabulous with silver sandals this Spring too!